Instead of just studying history, let's think about HerStory too! 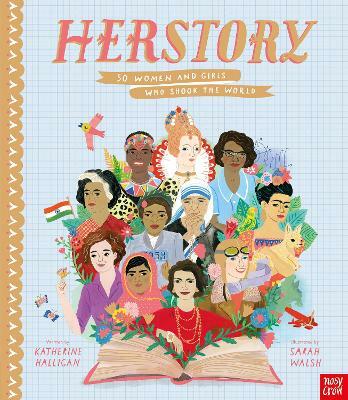 In this uplifting and inspiring book, children can learn about 50 intrepid women from around the world and throughout history. Telling the stories of their childhood, the challenges they faced and the changes they made, each gorgeously illustrated spread is a celebration of girl power in its many forms. With a range of pioneering careers - from astronauts to activists, musicians to mathematicians and many more - young readers will be inspired to follow their own dreams and to make the world a better place. Compelling, motivating and brilliantly illustrated in equal measure, this is the perfect introduction to just some of the amazing women who have shaped our world.